This is arguably been Tesla’s signature deal from the get-go, buy a Tesla car and you can charge it for free forever. When you come to the Tesla supercharging station you have the choice of the supercharger which is always will be free. Assuming the average period of ownership is five years that free supercharger access saves you about 1100$ in charging costs in that time while for Tesla’s nearly 300000 cars cost them about 330M$, of course, people who live in apartments or townhomes and have to rely on supercharging for every charging use will save the most maybe at the expense of degrading their battery packs. although new slower city superchargers can help with that in the course of five years the average Tesla owner drives over 75000 miles. for larger battery packs that would equate to 250 supercharged sessions at 11$ say for each charge up that is nearly 3000 you’d save in five years. take for example a comparable 2017 Mercedes S Class that would cost around twelve thousand dollars in fuel to operate for five years. that’s basically 15000$ more than it would be to operate a Tesla. when you factor in the pre supercharging now for you very early adopters you may remember that Tesla used to charge 2500$ to gain access to their supercharging Network in the smaller battery cars. now that was before it was eventually added into the overall cost of the Teslas. now of course to get this perk you can only do so with an owner’s referral code and it’s likely not going to be around for a long since Tesla is probably just doing this to boost the Tesla Model S and X sales. Things have changed since 2013 rights, the eliminate supercharging is now only available through an owner’s referral code and the referral program is phasing out the popular $1,000 discount by the end of October but the famed free supercharging will still remain. 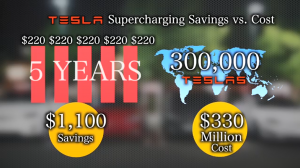 so what is the true honest-to-goodness value of free lifetime supercharging how much does it save you? 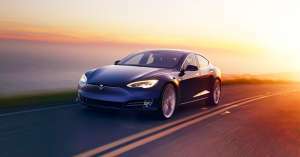 how much does it cost Tesla? and is it really the deal that it seems? 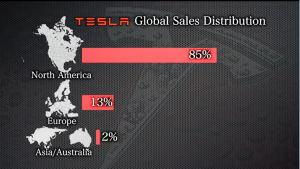 Tesla has around 300000 cars on the road worldwide most in the US followed by Europe and just about every one of them has the free lifetime supercharging. Now most casual owners charge their cars on weekend getaways or road trips and that equates to around 15 to 20 supercharging sessions per year. with those numbers of using the blend of electricity rates for both Europe and the US, you can average costs of about 16 cents per kilowatt-hour. that means for the typical Tesla owner who charges to 90% at a supercharger they save $11 every single time that they charge to that 20 times a year and that’s 220$ in your pocket the Tesla pay is towards the average car in their fleet. So what do you think about this, let us know what are your thoughts in the comment section below. Previous articlePre-owned Tesla Model S vs New Model 3 – Which to Buy?